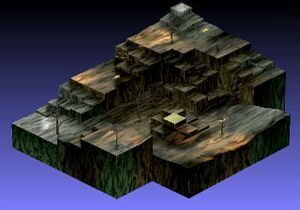 The entire battlefield is covered in Geopanels that increase experience gained by 100%. On your first round, you should focus on damaging as many zombies as possible while they are still grouped together. Keep your characters from lining up, though, as the zombies can attack multiple enemies in a line. 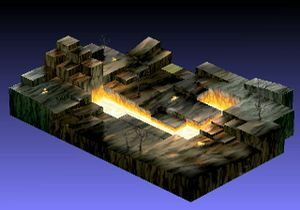 This time, the battlefield is covered in Geopanels that increase the enemies' strength. You want to destroy this effect as soon as possible. To do this, have one character pick up another, then bring out another character to pick up those two. Throw the stack of characters toward the geo symbol, then throw the remaining one next to it. Pick up the geo symbol and throw it onto an enemy to destroy it. Your characters will be spread out at this point, but compared to the increased enemy strength it should be a lot easier. 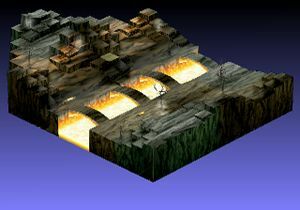 The battlefield is covered in geo panels that prevent lifting and spell casting, as well as damage your team every turn. 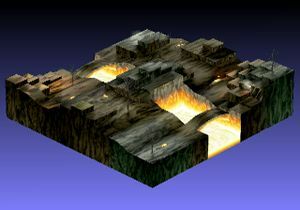 The best way to beat this map is to defeat the enemies as quickly as possible rather than destroying the geo symbols. Have one character approach the zombies and end the turn. The zombies will come to attack, and when they get near enough to your base panel, bring out all your other characters and swarm them until they die. Move your characters onto the red panels that increase their attack and defense. 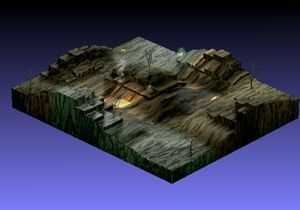 The zombies will move to attack, and will move onto the green panels that decrease their attack and defense. You should be able to take them out with just the few characters that can stand on the red panels. Move your characters to the geo panels that increase defense as soon as the battle starts. The zombies will also move to the geo panels to attack you, but you can simply throw them off before attacking to bring them down fast. This page was last edited on 20 January 2018, at 03:32.